Jamie has climbed the Seven Summits, including four Everest attempts. He has ridden camels across The Empty Quarter of Arabia. And he has created two successful outdoor retail companies, firmly establishing him as an authority in the business of adventure and the adventure of business. Jamie’s upbeat perspectives from the roof of the world to the peaks of business success have made him a favourite with leading companies and organizations: IBM, Kraft, and the Wall Street Journal seek out his expertise on perseverance, leadership and teambuilding. Raised in the Canadian Rockies, Clarke was inspired by the outdoors at an early age. His first two attempts to summit Everest were cut short feet from the summit, due to deadly storms. Determined and dedicated, he reached the top in 1997 and 2010. Clarke is the CEO and co-founder of two successful enterprises; the Out There Adventure Centre and LiveOutThere.com, an e-com company that was ranked by Profit Guide as one of Canada’s 50 fastest-growing companies and nominated for a National Innovation Award by Canada Post. With high energy, humour and palpable passion, Clarke inspires audiences by channelling wild places to illuminate the challenges organizations and people face daily. Jamie offers deep insight and actionable strategy for success in business, academia or the most dynamic environment of all - family life. "This is the second time I book Jamie and there are no words to describe your ability to motivate and inspire! Jamie's speech has completely made our event the best one we have ever had!" "Jamie’s presentation was extremely well received and fit in perfectly with the messaging of the meeting.Jamie took some notes during the executive presentations that preceded him and incorporated them perfectly into his talk." "Jamie’s recent talk was his sixth at one of our events, he continues to receive outstanding applause from our attendees. Jamie did a brilliant job relating our business applications to his adventure experiences and expedition planning along with his themes of overcoming fear and finding success in failure. These principles come alive due to his energetic presentation style, his vibrant personality and superb use of humor in his stories." "Jamie was awesome! Few speakers can keep my attention for every second of a one hour session - Jamie did. I couldn’t wait to hear what he was going to say next or where his story was headed. He did a great job of picking up on some issues in our open Q&A with our CEO and weaving them perfectly into his message. Amazing!" "Your presentation was absolutely spectacular! You tell a wonderful story with great passion, humor and a sincere humility. The parallels you were able to draw between your experiences and the challenges people in the audience face in both their personal and professional lives really hit home. I have been in this business a long time and that is first standing ovation I have ever witnessed at a customer event." Jim Sweeney - Distributed Systems Services, Inc.
First and foremost: WOW! I attend a great many conferences (too many?) and get to see some pretty high profile speakers. Your talk was one of the most captivating and memorable I have ever seen. You made me laugh till my sides hurt and moments later,your words brought tears rolling down my cheeks. Throughout, I didn't dare divert my attention. In short, you nailed it!! An accomplished explorer, Jamie has scaled rarefied heights in sport and in business. 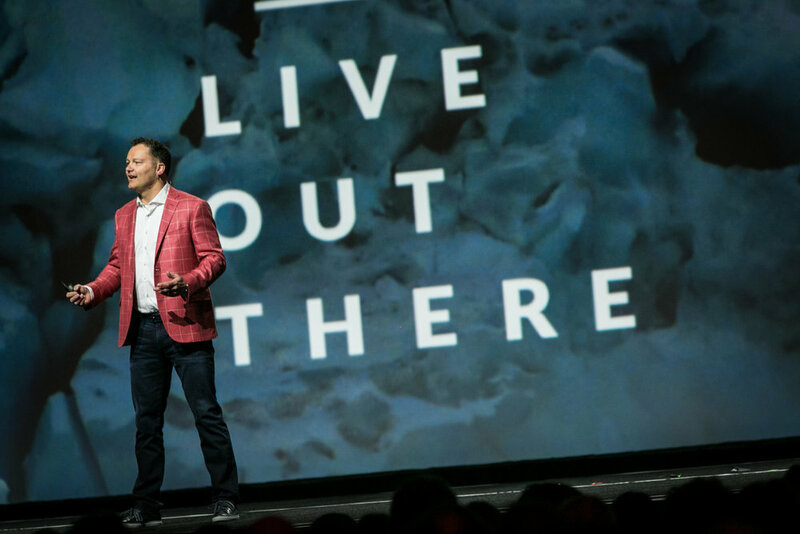 With lessons from high-risk environments, as founder and CEO of one of Canada’s fastest-growing companies, he shares insights with business leaders through customized presentations on effective leadership and pushing limits. He recharges audiences with a perspective that debunks common views on failure, and offers strategies for tackling obstacles to reach new levels of success. The passion that drives an adventurer is akin to that of a business leader. With his trademark spirit and high energy, Clarke excites audiences as he draws parallels between the dynamic environments found in the office and in nature. He provides business leaders with a new framework to achieve success in any competitive setting. Clarke shows how to adapt to forces outside of one’s control and uphold one’s mission despite distractions and dangers, all the while encouraging a healthy dose of risk balanced with an ample measure of humility. Clarke delivers insights and strategies for taking one’s organization to the peak and conquering the adventure of business. With humour and palpable emotion, Jamie challenges audiences to think differently about success, failure, hard work and fear, as he shares insights from his journeys, adventures and explorations to and through the world’s most dangerous places. Perfect for audiences seeking expertise on risk-taking, project management, and team building, Clarke delivers powerful perspectives on learning from failure, the art of grunt work, conquering fear of focus and above all — living life with passion. After multiple trips to the top of the world, what’s next? A 700-mile venture on the back of a camel, crossing the world’s most desolate and dangerous desert: Arabia's Empty Quarter. Clarke shares the lessons learned from a journey of contrast and endurance. In a program laced with laughter, poignant moments, tension and lush illustration, Clarke will challenge your audience to persevere through obstacles, resolve conflict, live in the now and to lead others by empowering them to live passionate and courageous lives. Jamie’s business accomplishments and adventures have been featured in numerous cover stories and articles.